The postpartum time is all about healing and connecting. 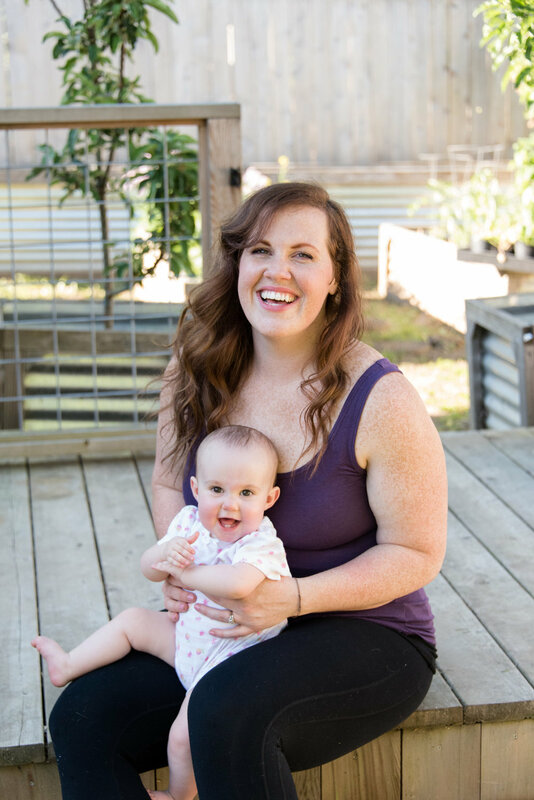 Along with intense immediate recovery, if you are choosing to nurse or pump, then you are still growing a human which means your nutrition is just as important now as it was when you were pregnant. Eating a nourishing, nutrient-dense diet can be simple and painless, even during the most sleep deprived days. Keep reading to check our top five postpartum nutrition essentials, along with plenty of recipes to keep you inspired, happy and healthy. Try one of these three soup and stew recipes from the blog tonight or freeze and save for later! Collagen is an essential part of our connective tissue ( skin, ligaments, bones and teeth). (1) Think of collagen as the “glue” that keeps those tissues together. (1) Collagen is essential to the repair and recovery process during the postpartum time. Bone broth is one source of collagen, as well as slow cooked meats and drippings, which have higher amounts of collagen. Taking a powdered collagen supplement that can be easily mixed into any beverage is another great option. Healing after birth is an intense stress on the body (something you may already be very aware of). Eating foods that reduce inflammation will help with rest and recovery in the immediate months following birth. Fresh foods with bright and intense pigments will typically contain an abundance of anti-inflammatory properties. Those with deep, dark colors like beets, berries, matcha green tea and even dark cocoa are rich in anti-inflammatory properties. Additionally, turmeric root is one of the most notable anti-inflammatory spices out there with high amounts of curcumin, a potent antioxidant. Healthy fats are minimally processed fats from pasture-raised animals, cold pressed nuts and seeds and fatty fish. Avocado, olives, coconut, sardines, and butter are some of our favorite fats. Water is vital to healing and maintaining good energy. Staying hydrated allows your body to rebuild faster. If you’re a milk making mama, it’s especially important to drink enough water because the main component in breastmilk is water! In general, women are recommended to drink at least 10-15 cups of water a day. Sound like a lot? That’s only about 1 cup per waking hour of your day! If plain water is too boring, try herbal tea or infused waters! If you feel like your constantly racing to the bathroom, try adding a pinch of sea salt to your water. This introduces important electrolytes, boosting energy and keeping you hydrated, too. The Collagen Connection. www.nutritionreview.org. https://nutritionreview.org/2013/04/collagen-connection/. Accessd December 28,2018. Inflammation. www.lpi.oregonstate.edu. https://lpi.oregonstate.edu/mic/health-disease/inflammation#phytochemicals. Accessed December 29, 2018. Essential Fatty Acids. www.lpi.oregonstate.edu. https://lpi.oregonstate.edu/mic/other-nutrients/essential-fatty-acids. Accessed December 29, 2018.